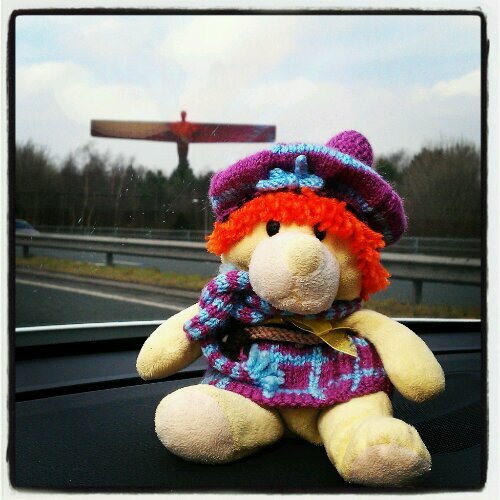 We are off on our holidays today … first a weekend at Holy Island then a week in Highland Perthshire in Scotland. We just passed a famous sculpture by the main road at Newcastle, the Angel of the North. We need to get across the causeway to the island before the tide comes in. We’re making good time though and we haven’t far to go now. We have lots of exciting places to visit so I’ll update as often as data allows.